TRR-FEC #32 - Breaking News 2 - Alpha-Omega Amusements and Sales, Inc.
Major developments hitting the technology approach to redemption, first with the popularity of Video-Redemption (coined as Videmption) continues to see new launches. Canadian based Adrenaline Amusement launched their latest title with ‘Crossy Road’ – this game uses a vast 65’’ vertical monitor to create a 3D retro-take rethink of the classic game ‘Frogger’. This game is based on the highly popular mobile game app developed by Hipster Whale, given a Videmption treatment for two-players. Bay Tek’s latest development of the 50 million download of the game app ‘Flappy Bird’ has seen the popular playing narrative transformed into a colorful merchandiser with the release ‘Flappy Bird Merchandiser’ – with this development the company announced that they had been awarded permission to sell and operate the game in the US State of Washington – this agreement a pivotal development in this form of skill based games for the amusement sector. With the explosion in interest in Kid-tainment (children based amusement), the industry has taken a major step with the development of one of the largest applications of an interactive kiddie ride game platform. UNIS has launched their impressive train-ride shooting game ‘Bandit Express’. Accommodating 8-players at a time, riding two per ride car traversing the oval track, shooting at both mechanical targets and the two main HD screens displaying targets in a cartoon shooting gallery style. The game created as a successor to the traditional kiddie-ride, offers redemption tickets for player’s skill – the first of a new genre of kiddie ride / interactive attractions. A little bit of history repeating – with the classic arcade game ‘Galaga’ getting the Videmption treatment comes the announcement of the new BANDAI NAMCO title ‘Galaga Assault’. Developed by Raw Thrills this unique 42’’ display cabinet recreates the vintage top-down shooting action of the classic in a video-redemption package. The highly decorated upright cabinet builds on the previous successful formula seen with the original 2013 release of a classic amusement title placed into a Videmption package with ‘Pac-Man Chomp Mania’. The need to entertain a much more digitally sophisticated younger audience has seen a number of new concepts. Most recently Barron Games International added to their game library their latest kiddie game ‘Dolphin Star Interactive’. This ride-on interactive video game aimed at a children age base sees players riding colorful dolphins while competing on screen in simplistic networked play. A simple game narrative offering a new level of engagement for the children audience. 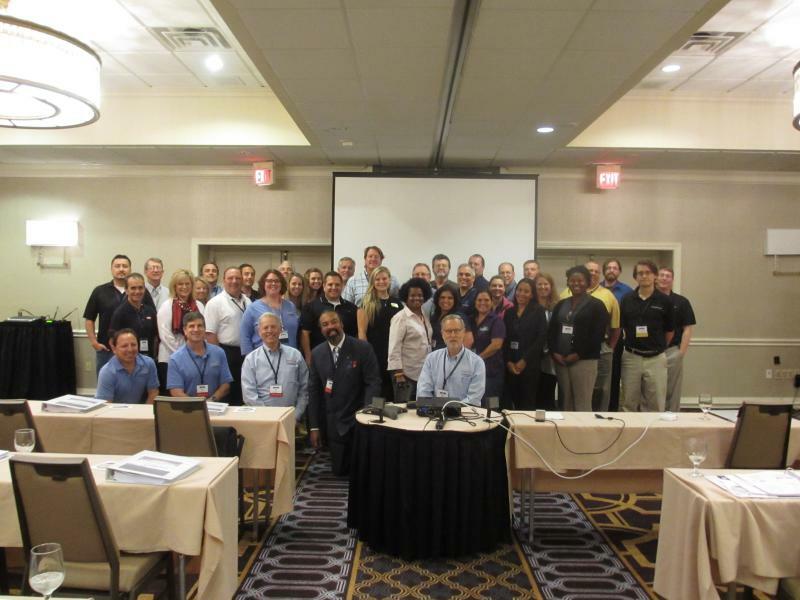 Foundations Entertainment University (FEU) hosted Class 37 in Irving, Texas, Oct. 13-15 at the Sheraton DFW Airport Hotel. The class included 13 attending sponsors and 20 graduates who came from eight states plus Brazil and the U.K. Class 37 included an even mix of attendees who are working on new projects in the design and development stage, facilities that have been in business for several years and are planning upgrades and expanding, and game vendors wanting to learn more about the FEC industry. Project categories included bowling, casinos, children’s centers, laser tag, and water parks. Facility sizes ranged from 10,000 square feet to 80,000 plus square feet. Jerry Johnston, President of the Amusement and Music Operators Association (AMOA), and Kelly Bednar of the Bowling Proprietors Association of America (BPAA) sat in on the full program to gain more industry knowledge and to evaluate FEU for possible future participation in their own association’s educational programs. 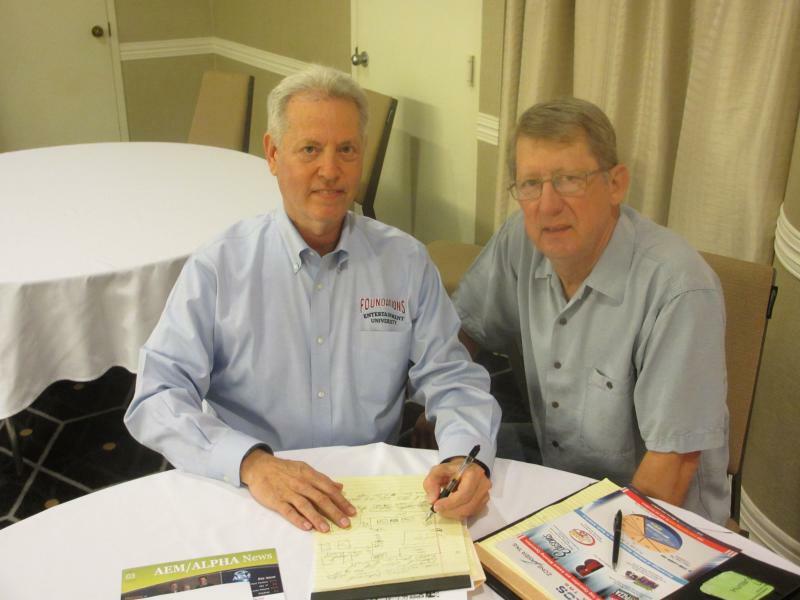 Pictured Above Right: Frank Seninsky, Amusement Entertainment Management, and Jerry Johnston, AMOA President, during the 1 on 1 sessions. Attendee Keith Daniels of Rigby’s Entertainment Complex in Georgia, said, “I have attended multiple conferences since entering the entertainment business and I found FEU to be the most informative and influential conference to date.” Stacey Niedfeldt of Kansas said, “FEU has solidified some decisions and promoted changes to the plan based on the speakers’ knowledge and their desire to see everyone succeed.” For more information about FEU, visit (www.foundationsuniversity.com).